Residents and visitors will see a freeze to parking charging charges across Chichester District car parks over the next year. Charges were last reviewed in 2017 when councillors proposed keeping them at the same level for the following two years. This means that the free period in Midhurst, Petworth, East Wittering and Selsey will remain in place, while people buying a season ticket at any of the district's car parks will still receive a discount if they buy six, nine or 12 months in advance. "We are pleased to be keeping charges at the same levels as this will help support the high street and provide certainty for our residents," explains Councillor Tony Dignum, Leader of Chichester District Council. "Our charges are still in line with elsewhere, and we still have three car parks where we don't charge at all, these are Florence Road, Chichester, Fernhurst and Sylvia Beaufoy in Petworth. In addition, we also have East Beach and Marine Drive car parks in Selsey and Bracklesham car park where charges are seasonal. "When our Parking Forum reviews the charges, it considers them very carefully to ensure value for money and also to ensure turnover of spaces in the car parks where they are most in demand. "Over the last three years we have been working extremely hard to improve our parking facilities and payment options. We will also be shortly introducing an additional blue badge bay at Florence Road car park in Chichester." It's now easier than ever for people to pay for their parking. The simplest method is by using the MiPermit app, which gives people the ability to extend their stay without going back to the car park to top up. 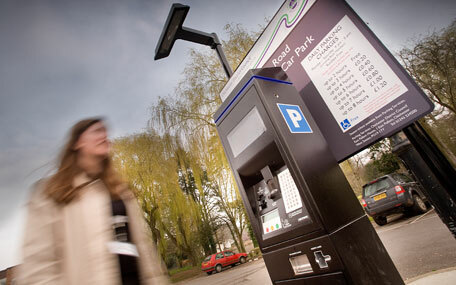 All the district's car parks accept cash, cards and contactless methods.